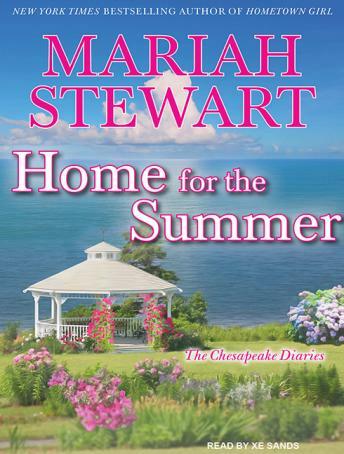 Some of Lucy Sinclair's best days were those spent growing up in small town St. Dennis-working at the family inn and enjoying summers filled with swimming, sailing, tennis, and the company of Clay Madison, her best friend. But Lucy's darkest day, the one that shattered her innocence with violence and fear, also happened in St. Dennis. And the town she once loved became the place she gladly left behind-along with the terrible secret she's kept for twenty years. While Lucy headed off for college and a career, Clay remained-more than satisfied with the life St. Dennis had to offer. But now, even after inheriting his family's thriving farm and starting up an organic brewery, he can't help feeling that something's missing. And when Lucy comes back to town to plan a celebrity wedding at the Sinclair family inn, she and Clay reconnect, and find themselves reevaluating their long-sleeping friendship that could blossom into something deeper. Like a bookend to those distant childhood days, this summer will be Lucy's chance to finally confront her hidden pain, make peace with the past, and plan her own whole new future. I love Mariah Stewarts books. I have listened to four of them now. The last two have been narrated by Xe Sands. Her voice is very difficult to listen to. It's monotone, raspy, sleepy, drops off sometimes... she sounds bored narrating this. I love the stories so much that I put up with it, but much prefer the narrator voice of Joy Osmanski, who did other books.